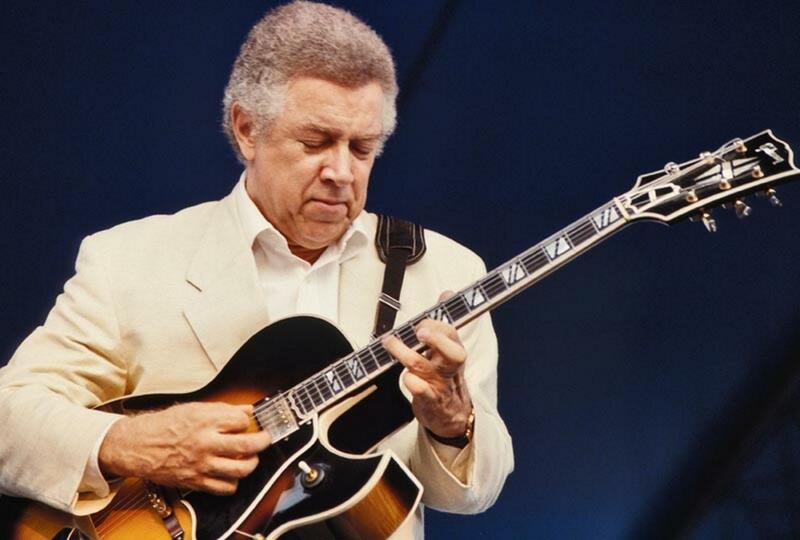 Kenneth Earl "Kenny" Burrell was a jazz guitarist. He was born in July 31, 1931 in Detroit, Michigan to a musical family. He began playing guitar at the age of 12. His influences as a guitar player include Charlie Christian, Django Reinhardt, and Wes Montgomery. While a student at Wayne State University, he made his debut recording as a member of Dizzy Gillespie's sextet in 1951. He toured with Oscar Peterson after graduating in 1955 and then moved to New York City in 1956. A consummate sideman, Burrell recorded with a wide range of prominent musicians. He also led his own groups since 1951 and recorded many well received albums. In the 1970s he began leading seminars about music, particularly Duke Ellington's. A highly popular performer, he has won several jazz polls in Japan and the United Kingdom as well as the United States. He has recorded about 40 albums, including Midnight Blue (1967), Blue Lights, Guitar Forms, Sunup To Sundown (1990), Soft Winds (1993), Then Along Came Kenny (1993), and Lotus Blossom (1995). In 2001, Burrell performed "C Jam Blues" with Medeski, Martin & Wood for the Red Hot Organization's compilation album Red Hot + Indigo, a tribute to Duke Ellington, which raised money for various charities devoted to increasing AIDS awareness and fighting the disease. As of 2007, Burrell has served as Director of Jazz Studies at UCLA, mentoring such notable alumni as Gretchen Parlato and Kalil Wilson. Burrell teaches a course entitled "Ellingtonia", examining the life and accomplishments of Duke Ellington.